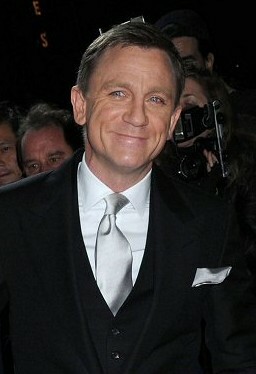 Daniel Wroughton Craig (born 2 March 1968) is an English television and movie actor and movie producer. He was born in Chester, Cheshire, England. He is the latest actor to play James Bond. Craig is married to actress Rachel Weisz. He has a daughter Ella by his first wife, Fiona Loudon. In 2006 he joined the Academy of Motion Picture Arts and Sciences. On 12 June 2008, Craig sliced the top of one of his fingers off while filming Quantum of Solace. 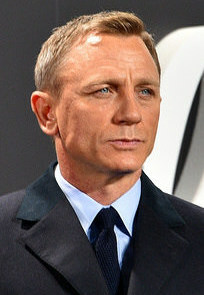 Daniel Craig Facts for Kids. Kiddle Encyclopedia.